How to make a 200-year-old book? To create the look and feel of an old book we offer hand-dipped paper! In this section we share with you the 6 secrets of making an antique looking book. The result is guaranteed. The book will be inimitably beautiful and antique looking. The surface of hand-dipped paper is very textured, irregular and uneven; its material is soft, its color can be white or antique looking natural. For our books we use hand-dipped paper in antique faded yellow color. 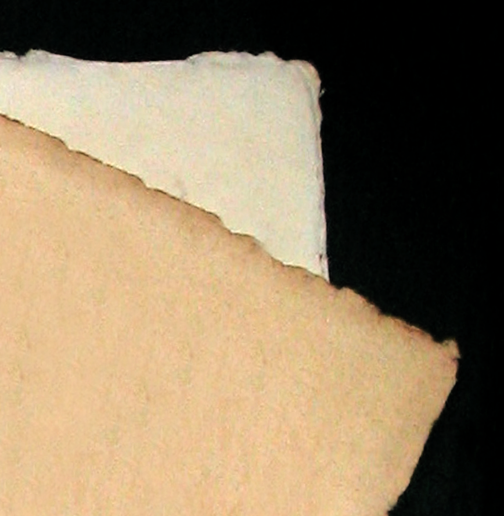 A major and unique feature of hand-dipped paper is its randomly uneven and uncut edge that is the result of its preparation technique. 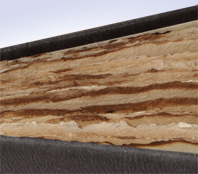 We do not cut the edges of the book body after binding thus preserving this antiquated effect. When formatting the book we use a font that imitates the old handwriting made by a quill-pen. Here and there you can even see little ink pads as if one had dripped ink accidentally on the paper when writing. 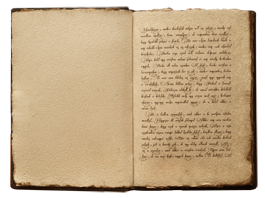 Texts are printed in dark brown color instead of black thus imitating the color of old, somewhat faded ink. We bound this book with genuine napa leather in a color choice that goes well with the color of the hand-dipped paper. Genuine napa leather is the most noble of binding materials. You can read more about its time resistant, beautiful material and its possible uses more in detail here. Titles are burned on the cover in the same letter type as the type used in the body of the text inside the book. The finished book is a most decorative piece and a unique one-of-a-kind gift. How can I order a book made of hand-dipped paper? On the Price Calculator page please select hand-dipped paper in the paper selection menu.